OurEnergyPolicy.org | Should the EPA Relax CAFE Standards? On Monday, Environmental Protection Agency (EPA) administrator Scott Pruitt announced that the Obama EPA’s greenhouse gas emission (GHG) standards for model year 2022-2025 cars and light trucks will be reconsidered by the agency. Critics have pointed out that the stringent Obama era standards, peaking at 54.5 MPG in 2025, are too strict and potentially price millions of Americans out of the market for new cars while also failing to have a meaningful impact on GHG levels. Unlike other emissions from motor vehicles, CO2 is not an air contaminant. Yes, it is a greenhouse gas, but so is water vapor. Like oxygen, CO2 is a clear, odorless gas that is a vital component of clean air on Planet Earth. The auto emissions that chiefly dirty the air are nitrogen oxides (NOX) and various organic compounds, which together form ozone smog in the presence of sunlight, and soot particles from incomplete combustion. Due to advances in emission control technology and fuels, all new cars and trucks today are practically zero-pollution vehicles. That is evident from any number of EPA Web pages posted during previous administrations (see here, here, here, and here). The U.S. Auto Alliance quantifies this progress to the tenth of a percent. Vehicles produced in 2017 are 99.4 percent cleaner than vehicles manufactured before 1968, and vehicles in 2025 will be cleaner still. The forthcoming revisions for model years 2022-2025 will at most freeze CO2 and mileage standards at the 2021 level. That would not make vehicles “unclean.” More likely, the CO2/mileage standards will continue to ratchet up. In any event, model year 2022-2025 cars and light trucks will still be subject to EPA’s latest standards for NOX, organic emissions, and particulates, known as Tier 3, which run from 2017-2025. 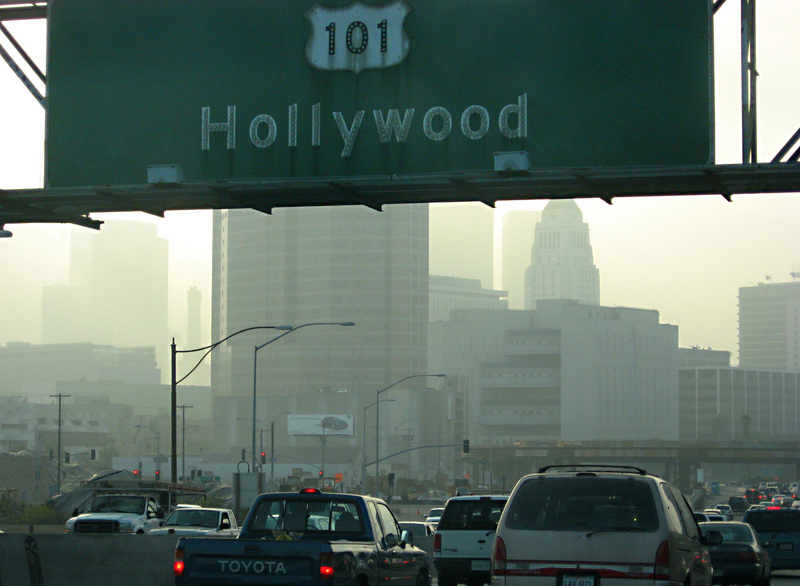 The Tier 3 program is projected to help reduce ambient levels of soot and smog levels through 2030. Nothing the EPA might propose to do will change that. Obama’s EPA estimated that its entire series of CO2 and mileage standards from 2012 to 2025 would avert less than two hundredths of a degree Celsius of warming by 2100. Accordingly, no one should worry that Pruitt’s adjustment of the 2022-2025 standards will have any discernible impact on weather patterns or sea level rise. What the adjustment will do is help avert thousands of dollars ($3,000 per vehicle per the National Automotive Dealers Association) in higher vehicle costs that threaten to price millions of low- and middle-income households out of the market for new vehicles. The EPA’s policy under Pruitt will expand consumer choice, and may also enhance vehicle safety by allowing automakers to build larger, heavier vehicles that provide more protection in collisions. 1) Would freezing the emissions standards at 2021 levels better balance the impact on the economy and consumers with the need to address climate change? 2) Will industry momentum continue to improve MPG and reduce CO2 even if the Obama standards are revised? 3) Has the overall efficacy of CAFE standards since 1975 justified them as a continuing policy? 8 Responses to Should the EPA Relax CAFE Standards? I read the CEI view which is almost exactly the same this week in the Wall Street Journal editorial. And these arguments overlook the big picture by cherry-picking the facts. The US imports 20% of our fuels, and higher miles per gallon will cut those further. Reducing vehicle mileage started in the 1970’s which was to double the average fuel economy to 27.6 miles per gallon (mpg), Phase I has been instituted for the 2012-2016 which represented a 23% improvement in average mileage for new vehicles. And now for Phase II, for 2017-2025, the whiners want to stop which will reduce global warming emissions for cars and light trucks to 163 grams per mile which is equivalent to 54.5 mpg cars. The actual Corporate Average Fuel Economy (CAFE) standard is expected to be about 49.6 mpg in 2025. The oil savings is 3 million gallons of imports per day, will reduce global warming pollution by as much as 570 million metric tons (MMT) in 2030. This is equivalent to shutting down 140 typical coal-fired power plants for an entire year. More importantly, the standards will save consumers $140 billion in 2030. When compared to a typical vehicle on the road today, a new car buyer will save more than $8,000 over the lifetime of a new 2025 vehicle, even after paying for the more fuel-efficient technology. A June 2012 study by the Blue Green Alliance finds that the second round of standards alone will create an estimated 570,000 jobs (full-time equivalent) throughout the U.S. economy by 2030. So the Trump Administration wants more coal, and this incentive saves consumers money basically cuts output of 140 coal plants. “Oh my gosh, we can’t let that happen !”, they say. Give me a break. It seems to me that offering smaller cars with higher fuel efficiency doesn’t price people out of the market. You can buy a Honda Civic or Toyota Corolla and get well over 30 mpg, for under $20,000. It’s the gas guzzlers that get lower mileage and also have a much higher sticker price, e.g. a Cherokee that gets 20 mpg and costs $25,000 or more. Or get a Prius for a similar price and get over 50 mpg. If we had a carbon tax that properly valued all the negative externalities caused by internal combustion engines, people would be making car buying choices (and driving decisions) based on the true cost of their decisions. In the absence of that, CAFE standards give the car makers incentives to lower the prices of more efficient cars to improve their fleet efficiency. Marlo: In this day and age, does the CEI still believe that CO2 emissions from motor vehicles are “not an air contaminant” and are “vital component of clean air on Planet Earth.”? This is like claiming that the water that flooded Houston couldn’t cause any damage because water is a clean, natural substance that is a vital component of Planet Earth. It’s hard to believe that a “think-tank” today would try to claim that manmade emissions of CO2 are somehow natural and not dangerous (outside of climate change denying “Merchants of Doubt” like the Heritage Foundation and George C. Marshall Institute). This makes the entire premise of your argument invalid. After trying to imply that CO2 emissions aren’t so bad, you then try to claim that doing something to lower emissions really won’t do anything worthwhile (“avert less than two hundredths of a degree Celsius”). This is incredibly disingenuous. That is an incredibly large amount of global warming to come from a single policy in one country. The “benefits” of allowing increased emissions from cars is fleeting (and not true in any case, as pointed out by Scott and Jason above) while the damage caused by those extra “two hundredths of a degree Celsius” will hurt future generations for thousands of years. On top of all the environmental damage such a policy will cause, it will also hurt the US automobile industry because the rest of the world is setting even more stringent emissions than Obama did, so US global competitiveness will be harmed by relaxing emissions standards. 1) Since coral reefs are considered at great risk for warming above 1.5 degrees C., it is worth considering whether a single policy instrument in a single country addressing .02 degrees C. of warming potential for the entire world is really so small. There are other sectors, and lots of other countries, and areas of policy and technological innovation. Any one of these activities may seem small, but the point is to have a system in which markets and governments see clear constraints on overall emissions and innovate to achieve small reductions in many areas. Whether the CAFE rules Marlo is criticizing are the most cost-efficient way to achieve any particular reduction within the needed time frame is a separate question (maybe others know where it fits on a national marginal abatement curve). But since I don’t see CEI out there with all sorts of more cost-efficient alternatives to reduce ghg emissions, but more often just pretending the risks of climate change are not real and we can pretty much continue as we were, it is hard to take their criticisms of any individual policy seriously. 2) In years past, Marlo was an articulate opponent of subsidies to ethanol. I wish that he, and CEI overall, were equally supportive of eliminating fossil fuel subsidies (on which a surprising amount of US production relies to hit investment hurdle rates). Subsidy reform would provide both cost-effective reductions in ghg emissions and likely an incentive to further improve vehicle efficiency. I see a bit in this vein from former CEI fellow Jonathan Adler nearly 20 years ago. But I’m not seeing much now (Marlo – if it’s there, could you post links?) CEI’s Myron Ebell has strongly supported opening vast federal offshore lands to oil and gas leasing, despite a history of declining returns on offshore leases and material risks of further dampening prices by flooding supply. 3) It is a tribute to engineering ingenuity that today’s vehicles are 99.4% cleaner than those manufactured before 1968, as Marlo notes. But it is worth remembering that much of these gains (likely most of them) did not arise voluntarily from the auto industry. Regulation played a large role. This is true not just with environmental externalities, but with safety and performance transparency (such as crash tests) as well. CAFE was actually an early application of more flexible regulatory targets, able to provide the same overall level of compliance with lower unit costs to auto makers. It is also notable that in most cases the compliance costs projected by industry in advance of regulations (and in particular when they were using those costs to argue environmental rules under discussion should be delayed or derailed entirely) tend to be higher than what that compliance actually cost when one measured it retrospectively. Engineering ingenuity helps in the area of compliance costs as well. The requirement is to reduce greenhouse gas releases at affordable costs. Energy is 8% of the GNP and society can not afford expensive solutions. There are many options from batteries to biofuels and nobody, including EPA, knows the low-cost option. Mileage standards assume batteries are the solution. The most successful EPA pollution control program was the cap-and-trade program to control sulfur emissions to the atmosphere (acid rain) where a limit was set on releases to the atmosphere and permits for a fixed amount of emissions were issued. The permits could be traded so the people with cheap ways to reduce sulfur emissions reduced their releases below their allowable releases and sold off excess permitted releases to other companies where it was more expensive to control sulfur emissions. The market found ways to reduce sulfur emissions at a fraction of the cost originally estimated by EPA. For carbon dioxide cap-and-trade system to minimize costs, issue one permit to emit X tons of carbon dioxide to each citizen each year. Producers of carbon (oil wells, coal mines, importers) need permits for allowed production. The market determines permit prices and create incentives to find cheap ways to reduce greenhouse gas emissions. A market for permits would form where (1) the airlines would announce Y million frequent flyer miles for your permit, (2) the banks would offer direct deposit like a check based on cash equivalent for market permits and (3) some environmental groups would ask for contributions of permits to be shredded. If worried about cost impacts to the bottom half of society, issue fractional permits for the well-to-do that would raise the value of a permit for others. Such a system enables the low-cost solution to be found for any target emission. Charles: While Cap & Trade (C&T) worked well for sulphur, it has not worked well for CO2. With C&T, the carbon fee is volatile (it crashes during recessions) and is not known in advance and the system is easy to game (e.g., companies have produced very potent greenhouse gases so they could get paid to destroy them). A better way is Fee and Dividend (aka Carbon Dividend Plan) where a steadily rising fee is put on the carbon content of fossil fuels and 100% of the money collected is distributed to every legal resident on an equal basis. The carbon fee is not volatile and is known in advance so it will create much more research, development, and deployment than C&T. Plus, unlike C&T, Fee and Dividend is anti-regressive (the poor and middle class make more on the dividend than they pay in higher prices). A similar policy, the Alaska Permanent Fund, is beloved by Alaskan citizens, conservatives and progressives alike. If fuel costs continue to go up–and stay up–people will demand more fuel-efficient vehicles and meeting teh 54.5 mpg will become easier. No one has mentioned yet that CAFE has been misused. As Bob Kozak pointed out in a policy article for Advanced Biofuels USA, the 1970 Clean Air Act, Title II of the Act regulates pollutant emissions from all vehicles in a straight forward manner. A baseline exhaust emission of a specific pollutant; HC, CO, NOx for example, is measured in terms of grams/mile. As specified in the legislation, an emission standard would be some percentage of that baseline. Now CO2 has joined that company. To meet CCA Title II, EPA never specified what technology the auto makers were required to use. Catalytic converters, fuel injection, and on-board computers were selected by manufacturers because of their efficiency and cost-effectiveness; not by EPA. Every car and truck that EPA specified as needing to meet the standard had to meet the standard. There was no averaging between vehicles of different weights or with different engines. The Obama Administration, instead of using the CCA to check CO2 emissions using the process just described, it decided to use CAFE where CO2 measurements were measured to track Fuel Economy, not pollution. With the Obama EPA conflating tailpipe emissions tested for mileage as an assessment of CO2 emissions pollution, there is no wonder people are confused. Arguments for greater fuel economy are valid. The question is, since electric vehicles have no tailpipe CO2 emissions, how is their mileage fairly measured. And, since CAFE was never intended to measure the pollution level of vehicles as was the CCA Title II, we have to do two things: find ways to fairly measure and compare the efficiency of electric vehicles to internal combustion vehicles; and find ways to fairly measure the CO2 and HC, CO, NOx, etc., from the power source, whatever it is, for transportation vehicles. That might mean a life cycle analysis that will include a well/mine/seed-to-wheel analysis. So really, to address the second point about increasing MPG and reducing CO2: CAFE should be used to increase MPG and it has done a fine job of that over the years. The Clean Air Act Title II should be used to reduce CO2 in every vehicle (not averaged for the fleet), along with all other pollutants identified in the Act; and it should be include a life cycle carbon intensity analysis, not just on a tailpipe test. Then it would make sense for EPA also to follow the leaded-to-unleaded model to bring cleaner, high octane fuels into every “gas” station so that high efficiency vehicles have proper fuel available, just as vehicles with catalytic converters did years ago. And if those high octane fuels have high proportions of biofuels, per recent DOE studies, that would also lower the life cycle CO2 footprint of transportation. The transportation sector currently exceeds electric power as the primary source of CO2 emissions in the US. Every vehicle covered by CAFE between 2022 and 2025 will continue to emit carbon and other greenhouse gases (GHGs) for 12 or more years. This estimate is based on the current average age for cars on the road of 11.63 years and of 11.5 years for light trucks. Although the transportation sector is made up of more than CAFE covered vehicles, reducing average fuel economies is as detrimental to the environment as revising downward or rescinding the Clean Power Plan (CPP). It is estimated that the 54.5 mpg standard would cut oil consumption by 12 billion barrels over the lives of covered vehicles and reduce CO2 emissions by six billion tons. Beyond the negative environmental implications of lowering the 54.5 mpg standard are the matters of market certainty. Freezing emission standards at the 2021 level will inevitably trigger multiple legal battles between the Administration and some number of states and environmental groups. A similar reaction can be expected should the Administration choose to rescind California’s Clean Air Act waiver allowing it to set a more stringent standard than that established by the federal government. A standard followed by 12 other states and the District of Columbia representing a third or more of the nation’s population. The Trump administration undoubtedly considers a tie-up in the courts as a victory. A belief not shared by many in the auto industry. Honda and Ford, for example, have indicated support for reduced emission/increased fuel efficiencies. What they and others in the industry are looking for is greater flexibility in meeting the standards. Why? They know that the case for reduced emissions is strong—both as matters of law and science. There is a high likelihood that once in the court system the stricter standard will be found both legal and reasonable. A delay, pending a final judicial outcome, serves no practical purpose. The companies have known for years what is expected of them, and I would venture, know how to meet the 54.5 mpg standard. Trump himself has even shown some recognition that fuel efficiency standards could be a significant market factor. Just days ago, Trump asked—via the tweetisphere—the EPA and the Departments of Commerce and Transportation to devise a plan that would subject imported vehicles to higher fuel efficiency/emission standards. In his tweet, he specifically cited the authority of the Clean Air Act, which is the foundation upon which the CAFE standards are set. If a fuel efficiency tariff were levied, it could lead to a whole series of economic and environmental benefits both here and abroad. On the other hand, if US automakers fall behind in lowering emissions, they may find themselves locked out of foreign markets. Trump’s trade policies already have other nations thinking about how they can retaliate against the tariffs already announced or alluded to. A carbon tariff ranks high on the list given the resentment over Trump’s having pulled the US out of the Paris agreement and marketing of coal. An argument can indeed be made that the federal government should not be cowed into doing something it feels right by the threat of lawsuits. Freezing CAFE standards, however, is not the right thing to do. Although rattling economic markets may be consistent with the President’s love of chaos, it goes against the market’s need for reasonable certainty and the nation’s for cleaner air.